Abstract: Recently, the traffic jam problem in city gets more and more serious and the urban ecological environment is deteriorating. The problems of haze and traffic jam make electric scooter accepted by people. Low- carbon life style is the harmonious coexistence between people, electric scooter and city. In recent years, the traffic jam problem in city gets more and more serious and the urban ecological environment is deteriorating. The problems of haze and traffic jam make electric scooter accepted by people. Airwheel worked on the research, development and production of electric scooter these years. Mr. Zuo Guogang, the CEO of Airwheel, indicated that electric scooter is a new product that can bring revolution to cities and an important transport which makes urbanites more healthy, comfortable and convenient. 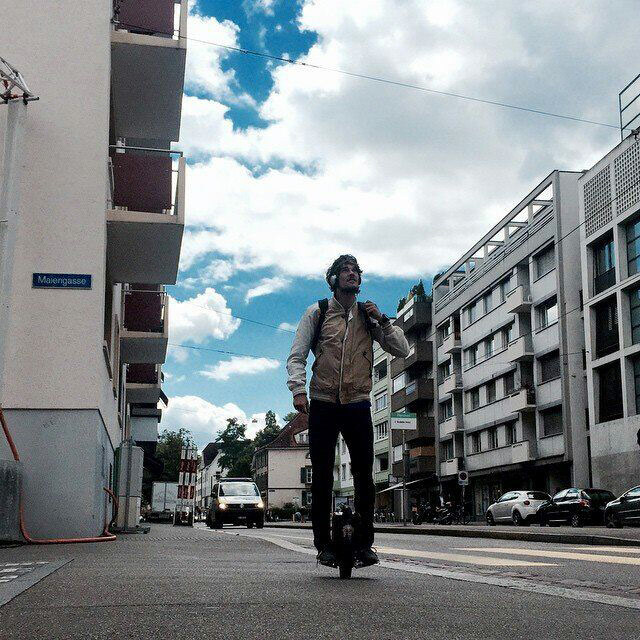 The design purpose of Airwheel electric unicycle is to relieve the traffic pressure and environmental degradation. As electric unicycle is electricity powered and zero emission, it is more low-carbon and eco-friendly than car, which helps to make the ecosystem of cities more harmonious and healthy. Aside from choosing the reliable, high-quality Sony lithium-ion battery, Airwheel reduces the electric consumption to 1-2 kilowatt for one hundred kilometer by the reasonable industrial design. As electricity is renewable resources, electric unicycle saves non-renewable resources like coal, petroleum, natural gas and so on. Airwheel realizes the real low-carbon and eco-friendly from details. Riders can check the riding condition of Airwheel electric self-balancing scooter through the built-in intelligent chip. If the speed exceeds the safe range, the electric self-balancing scooter will remind the rider to reduce the speed by cocking up the pedals and alarm sound. It will do the same thing if the leaning angle exceeds the safe range or the electric quantity is too low. 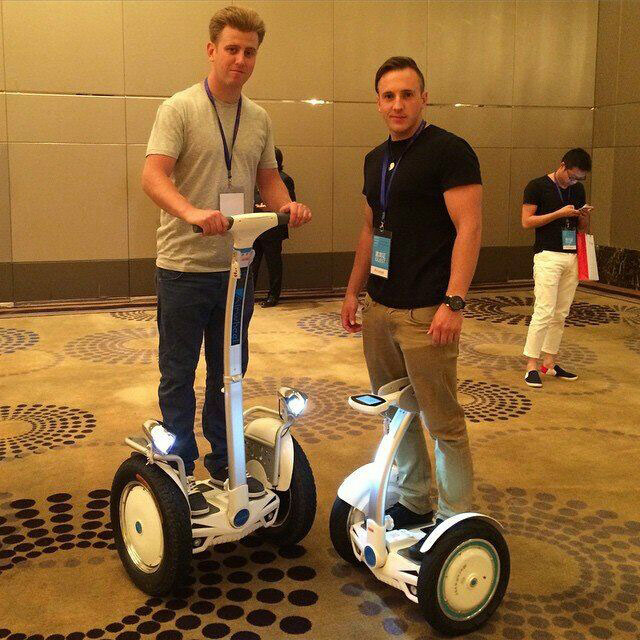 Therefore, Airwheel electric self-balancing scooter is very safe for riders. The trendy and cool of Airwheel electric self-balancing scooter attracts large numbers of people to pay attention to the low-carbon transport way. More and more people upgrade their life quality by choosing low-carbon transport like Airwheel electric self-balancing scooter. The popularity of Airwheel electric self-balancing scooter also contributes to the improvement of environment and traffic problems. The new low-carbon transport way stimulates the conversation between people and city. Airwheel electric self-balancing scooter solves the problems of traffic jam and pollution.